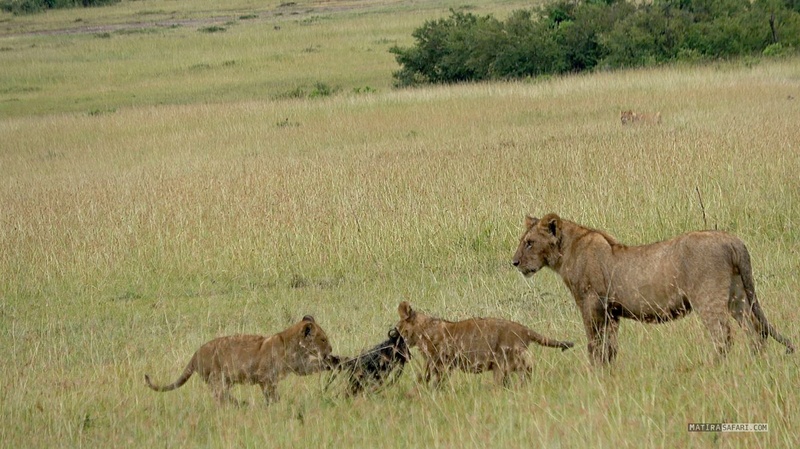 Experience the adventurous Maasai Mara with its fascinatingly diverse landscape and a legendary wealth of animals. Matira Bush Camp is the ultimate safari destination in the heart of the Maasai Mara. The idyllic camp, which was styled in harmony with nature, is set on a dense forest vegetation over the savannah and surrounded by a small river. The ideal starting point for a variety of adventurous excursions. The famous Mara River and the Talek River, where wildebeest and zebra herds relive the spectacular river crossings during the world-renowned migration, are only a few minutes away by foot. Our small river, with fresh water and dense riverine vegetation, is a paradise for birds, which present a delightful concert from sunrise to sunset. Our romantic natural bridge connects the Main Camp with the Adventure Camp. We are the whole year on site , watching and documenting wildlife since years and our guests benefit from the experience of our professional guides, wildlife experts, and the wide range of people who meet here. Captivating adventures on gamedrive, enchanting voices of the savannah in the night: Enjoy a unique experience – your 24h Safari in the heart of the Maasai Mara. Matira, a familiar and experienced team of locally grown up Maasai, take care of your comfort and safety round the clock. We look forward to experience the uniqueness and magic of nature and local culture together with you. Also we would be pleased to organise your tailormade safari.